Over the course of one calendar year, Greg Hill skinned, skied, and climbed two-million-vertical feet. That’s the equivalent of climbing Everest 69 times. Crazy! 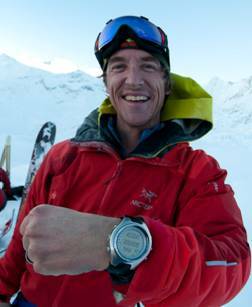 On December 31, 2010, in the backcountry outside of Revelstoke, BC, Hill summitted the two-million-fo ot-tall mountain. Then, he cracked a bottle of champagne and he skied some untracked powder. Read about Hill’s adventure here….